Surrey Satellite Technology Ltd (SSTL) has signed a contract with Honeywell to supply the VESTA satellite platform, a technology demonstration mission that will test a new two-way VHF Data Exchange System (VDES) payload for the exactEarth advanced maritime satellite constellation. The contract was signed as part of an MOU between Honeywell Aerospace and the UK Space Agency. VESTA is being manufactured in SSTL’s new NanoLab at the Company’s Guildford facility under a rapid-build schedule to meet a 2017 launch date. 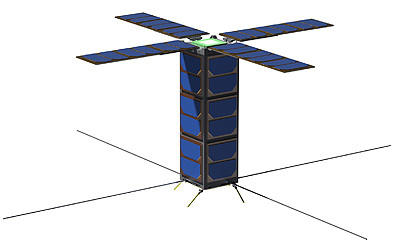 The VESTA platform will have 3-axis pointing capability, an SEU tolerant on-board computer, VxWorks operating system and an S-Band transmitter and receiver.